When exploring other planets and celestial bodies, NASA missions are required to abide by the practice known as "planetary protection." This practice states that measures must be taken during the designing of a mission to ensure that biological contamination of both the planet/body being explored and Earth (in the case of sample-return missions) are prevented. Looking to the future, there is the question of whether or not this same practice will be extended to extra-solar planets. If so, it would conflict with proposals to "seed" other worlds with microbial life to kick-start the evolutionary process. To address this, Dr. Claudius Gros of Goethe University's Institute for Theoretical Physics recently published a paper that looks at planetary protection and makes the case for "Genesis-type" missions. The paper, titled "Why planetary and exoplanetary protection differ: The case of long duration Genesis missions to habitable but sterile M-dwarf oxygen planets," recently appeared online and is due for publication by the journal Acta Astronautica. As the founder of Project Genesis, Gros addresses the ethical issue of seeding extrasolar planets and argues how and why planetary protection may not apply in these cases. "The purpose of the Genesis project is to offer terrestrial life alternative evolutionary pathways on those exoplanets that are potentially habitable but yet lifeless… If you had good conditions, simple life can develop very fast, but complex life will have a hard time. At least on Earth, it took a very long time for complex life to arrive. The Cambrian Explosion only happened about 500 million years ago, roughly 4 billion years after Earth was formed. If we give planets the opportunity to fast forward evolution, we can give them the chance to have their own Cambrian Explosions." The purpose of a Genesis-type mission would therefore be to offer extra-solar planets an evolutionary short-cut, skipping the billions of years necessary for the basic life forms to evolve and moving directly to the point where complex organisms begin to diversify. This would be especially helpful on planets where life could thrive, but not emerge on its own. "There is plenty of 'real estate' out in the galaxy, planets where life could thrive, but most probably isn't yet." Gros recently shared via email. "A Genesis mission would bring advanced uni-cellular organisms (eukaryotes) to these planets." Addressing the issue of how such missions could violate the practice of planetary protection, Gros offers two counter-arguments in his paper. First, he argues that scientific interest is the main reason for protecting possible lifeforms on solar system bodies. However, this rational becomes invalid because of the extended duration that missions to extrasolar planets entail. 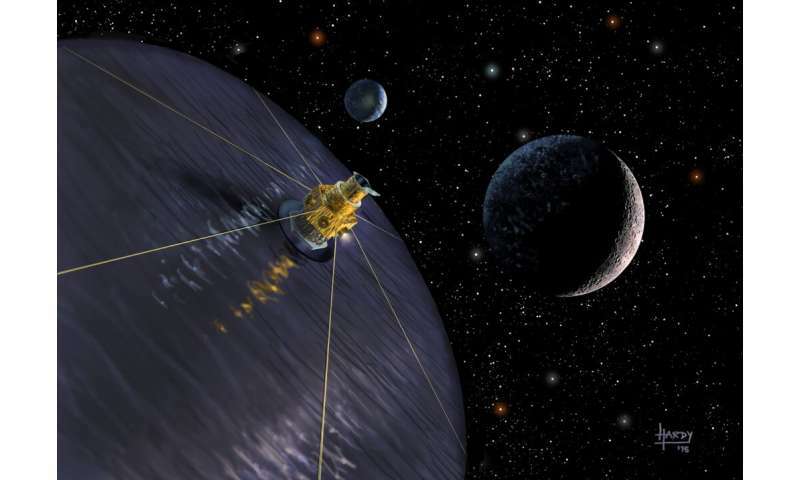 Simply put, even when we consider interstellar missions to the nearest star systems (ex. Alpha Centauri, which is 4.25 light years away) time is the key limiting factor. Using existing technology, a mission to another star system could take anywhere from 1000 to 81,000 years. At present, the only proposed method for reaching another star within a reasonable timeframe is the directed energy launch system. In this approach, lasers are used to accelerate a light sail to relativistic speeds (a fraction of the speed of light), a good example of which is the proposed Breakthrough Starshot concept. 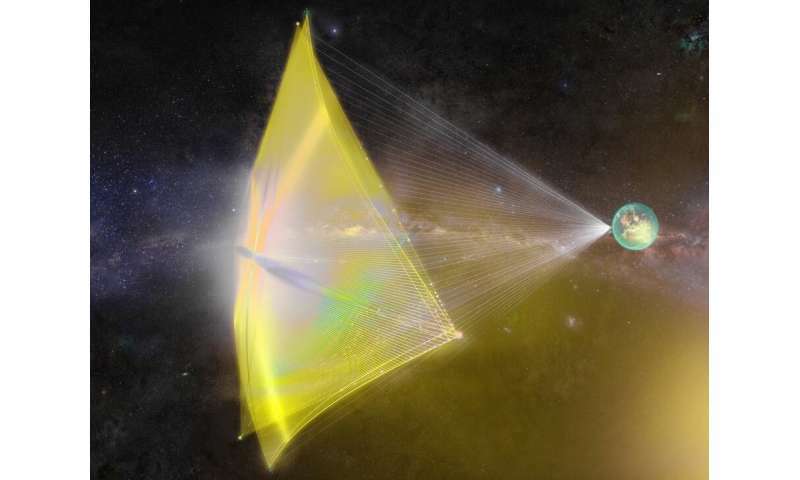 As part of Breakthough Initiative's goal of achieving interstellar spaceflight, finding habitable worlds (and possibly intelligent life), Starshot would involve a light sail and nanocraft being accelerated by lasers to speeds of up to 60,000 km/s (37,282 mps) – or 20 percent the speed of light. "Directed energy launch system deliver the energy an interstellar craft needs to accelerate via concentrated laser beams. Conventional rockets, on the other hand, need to carry and to accelerate their own fuel. Even though it is difficult to accelerate an interstellar craft, at launch, it is even much more demanding to decelerate at arrival. A magnetic field created by a current in a superconductor does not need energy for its upkeep. It will reflect the interstellar protons, slowing such the craft." All of this makes directed-energy propulsion especially attractive as far as Genesis-type missions go (and vise versa). In addition to taking far less time to reach another star system than a crewed mission (i.e. a generation ship, or where passengers are in cryogenic suspension), the goal of introducing life to worlds that would not otherwise have it would make the cost and travel time worthwhile. Gros also points to the fact that the presence of primordial oxygen may actually prevent life from emerging on exoplanets that orbit M-type (red dwarf) stars. Ordinarily considered a sign of potential habitability (aka. a biomarker), recent research has shown that the presence of atmospheric oxygen does not necessarily point the way to life. In short, oxygen gas is necessary for the existence of complex life (as we know it) and its presence in Earth's atmosphere is the result of photosynthetic organisms (such as cyanobacteria and plants). However, on planets orbiting M-type stars, it may be the result of chemical disassociation, where radiation from the parent star has turned the planet's water into hydrogen (which escapes into space) and atmospheric oxygen. At the same time, Gros points to the possibility that primordial oxygen could be a barrier to prebiotic conditions. While the conditions under which life emerged on Earth are still not entirely understood, it is believed that the first organisms emerged in "microstructured chemo-physical reaction environments driven by a sustained energy source" (such as alkaline hydrothermal vents). In other words, life on Earth is believed to have emerged in conditions that would be toxic for most lifeforms today. It was only through an evolutionary process that took billions of years that complex life (which depends on oxygen gas to survive) could emerge. Other factors, such as a planet's orbit, its geological history, or that nature of its parent star, could also contribute to planets being "transiently habitable." "Mars was transiently habitable, having clement conditions early on, but not now. Others may be habitable for a 2 or 3 Billion years, a time span that would not be enough for plants and animals to evolve indigenously. If life never emerges on a planet, it will remain sterile forever, even if it could support life. Oxygen is likely to preempt life emerging in the first place, being toxic to the chemical reaction cycles that are the precursors of life." It is a concept that has been explored a length in science fiction: an advanced species plants the seeds of life on another planet, millions of years pass, and sentient life results! 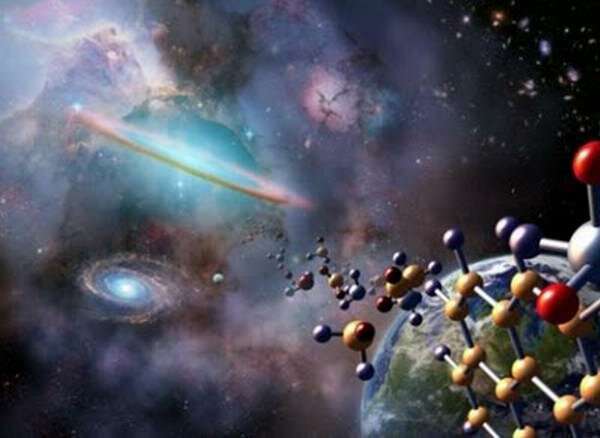 In fact, there are those who believe this is how life began on Earth – the Ancient Astronauts theory (which is pure speculation) – and by doing this ourselves on other planets, we would be carrying on this tradition of "directed panspermia." In the end, the purpose behind the practice of planetary protection is obvious. If life emerged beyond Earth, then it is distinct and deserves a chance to thrive without interference from humans or invasive Earth organisms. The same holds true for life on Earth, which could be disrupted by alien organisms brought back by sample-return or exploratory missions. But in the event that terrestrial planets orbiting the most common star in the galaxy are not a likely to place to find life (as recent research is suggesting), then transporting terrestrial organisms to these planets might actually be a good idea. If humanity is alone in the Universe, then spreading terrestrial organisms this way would be in the service of life. And if, though it is a farfetched possibility, life on Earth is the result of directed panspermia, then it could be argued that humanity has a duty to seed the cosmos with life. While the payoff would not be immediate, the knowledge that we are giving life a shot on worlds where it might not otherwise exist is arguably a worthwhile investment. Invariably, the issues of extra-terrestrial life and planetary exploration is a controversial one, and one that we are not likely to resolve anytime soon. One thing is for sure though: as our efforts to explore the solar system and galaxy continue, it is an issue that we cannot avoid. If an exoplanet is somewhat habitable, but incapable of evolving complex life in the time remaining, in most cases we should prepare it for eventual colonization by seeding it with plants and maybe animals that will help support colonization. Food for thought anyway, pun intended. My guess is that it will rarely, if ever, be that simple and some level of terraforming will be required. I have my doubts about any 'planetary protection' practice being long lasting. Having said that, I'm really referring to a more distant future rather than the immediate future. If or when diamonds, Gold, Platinum etc. are discovered I think any well intended practice will be disregarded. I think this is premature. When we know what life is, and can identify types other than our own, it might be OK to do something like this, but until then we risk killing life we cannot identify, and that would be genocide. Life as we know it is the best thing going in this universe, that we know of. Until we find out differently, we need to extend it with pride, not treat it as something to be ashamed of. Logic tells me that the odds of "infecting" and killing sentient beings by mistake is really low, as we are finding out by sending explorers of other local planets and moons. There is nothing there, with the possible exception of single cell life. What's your response if the life you cannot identify decides you're genocidal and decides to wipe out the source of the infection? Gonna shake your fist at the sky? Good luck with that. I think this is premature. No doubt about that. I view the whole thing as a type of thought experiment. Precious metals and lower-grade diamonds are even now being used for industrial purposes. And in the future, as now, diamonds may be made artificially, according to the natural processes deep underground - but in a laboratory setting. So what will that do to the price/cost/value of diamonds if artificially-created ones are just as good as the natural kind? They have also created artificially made rubies, sapphires, emeralds, etc. "Planetary protection" will prevent humans from landing on certain types of planets, where not only are those planets in danger of contamination by humans - but also that humans may become contaminated by certain planets and their environs. Humans already KNOW what Life is - since Life is readily recognised just by looking at a mirror and interacting with other humans. They also are able to recognise OTHER life forms such as the various animals and plants available on the Earth. So that IF and WHEN NEW life forms are discovered as existing on other exoplanets - it will have to be determined, first of all and most importantly, if bacteria/viruses/fungi that are prevalent in and on homo sapiens are compatible with the discovered life form(s) so that there is no cross-contamination that could endanger one or the other. The planning may still be in the early stages, and life elsewhere is still undiscovered - but life does exist elsewhere in the Universe - no matter whether near or far from the Earth's gravity well. The Solar System is unique in that it harbours this particular type of organic machine, whereas, on exoplanets far off, inorganic intelligences may exist. Flesh is only essential on Earth. I understand what you say but that is from a scientific/manufacturing standpoint. The greed of others I'm sure will emerge. A friend tells me that wagers already exist among the rich about 'a first purchase'. Whether that true or not I don't know as I don't move in such circles but it wouldn't surprise me. "The purpose of a Genesis-type mission would therefore be to offer extra-solar planets an evolutionary short-cut, skipping the billions of years necessary for the basic life forms to evolve and moving directly to the point where complex organisms begin to diversify." I am not in favour of "seeding" exoplanets for the sake of causing "panspermia" events, but to visit exoplanets for the sake of discovery and exploration to find out and to understand humanity's place in the Universe. And if there are planets that harbour intelligent alien life that are unlike the human organic machine - then it would be a good time to learn and to exhibit complete tolerance and acceptance for those who are different in appearance, culture, language, race, religion, social structures, etc. If this woman gets her way - it is unlikely that anyone who is NOT rich will be able to afford all of that Bling to keep the rich speculators "rolling in dough". Things and events are changing fast, Mimath, and these new 'dogs of war' are so against Capitalism that they will surely destroy the greatest nation in the history of the world - the USA. But that was always the agenda of the Left. So I do believe that war is coming and it won't be pretty. See, the problem with you @SEU is you've revealed your psychotic nature. Nobody's gonna believe anything you say after what you've said. You're a troll to the bone. @Surveillance_Egg_Unit That's taking what I wrote a bit too far isn't it? All that I really intended is that wherever we go we will take our characteristics with us and that opportunist will be among us. I have every respect for what the scientist wants to do in reference to protecting against contamination, and that's both ways. Protecting planetary life, should it be encountered, means that the explorers will be protected too...at least I would hope so. What happens after that won't be the fault of the explorer and as I said in my original comment, not in the near future. I suspect I will be blamed for seeding your '...Capitalism...' etc. outburst. But that's okay, it happens, I'll accept it and move on...move away from you, ha! In my opinion both 'planetary protection' and experimenting with evolutionary diversity via 'genesis' eukaryote impregnation of terra-like planets are both misguided and premature. Rather IMHO what we should be doing is breeding crops that can grow in a variety of atmospheres, temperatures, and pressures, like mars, for starters. Perhaps the lack of enough atmospheric protection from incoming objects; lack of enough warmth and moisture/water vapor, magnetic field, gravity, and not enough protection from solar and cosmic radiation. The seedlings that the Chinese sent up were already planted with enough water, warmth and air to sustain the seedlings for a short time. I think that the Chinese were mainly interested in showing that they could do it - even if not in Moon soil. But I don't think that their goal is to turn the Moon into a farming enterprise. Possibly a bit of mining for He4 or some type of fuel for a propulsion system that we don't know about. Luckily, there hasn't been any evidence that they're planning to send up missiles. Breeding new crops on Earth that will grow on exoplanets or near-planets such as Mars will eventually be necessary if it is humanity's goal to move off Earth and travel "out there". But it's not like trekking in the Outback of Australia where only a few animals can kill you. Those trekkers can still breathe Oxygen without a breathing apparatus. On Mars, the atmosphere is not Oxygenated enough even if you can walk around on Martian regolith and clamber up and down into craters. For anyone to do that in the future will take a LOT of self-discipline and understanding of the dangers. It won't be a walk in the park, after all. Opportunistic people need not apply. Such characteristics as greed and intentional frivolity could get you killed or, at the very least, endanger your companions. And who would want to live on Mars and be all alone? Showing a lack of good sense and judgment had better show up while training as a cadet/astronaut - to avoid endangering all missions in case the wrong people are chosen for the trip(s), Immaturity has no place for such future endeavours as Mars manned missions. Therefore, those who are addicted to hard drugs and/or show signs of mental illness will wash out of any space programs. Women will have to be as strong and adept as men - since she may be called on to save lives or to pilot the spacecraft - or any number of things that could require her immediate attention. All future spacecraft personnel and Officers MUST get along well and each will be watching for signs in the others for some kind of mental problem, even claustrophobia becomes apparent.